Here's a treat to perk up your Monday! 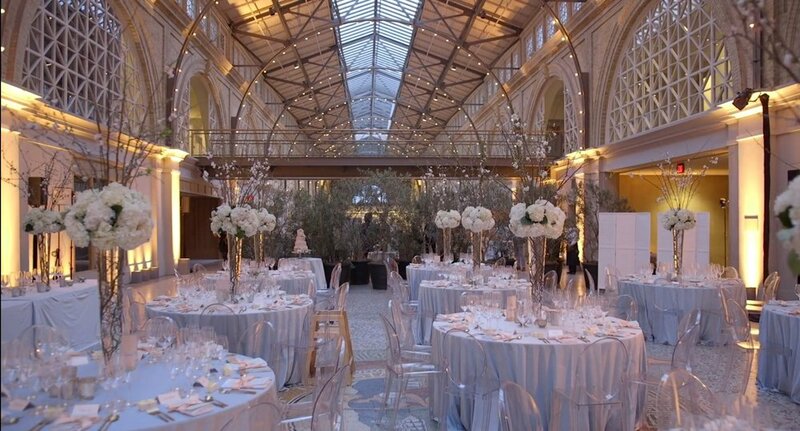 This black tie wedding starts at the beautiful Peter and Paul Catholic church in San Francisco and ends at the wonderfully iconic Ferry Building. Emily's family traveled all the way across the pond to be a part of this couple's big day, for some of them it was their first trip to the States! Traditional tuxes and baby's breath crowns are just a few of the details that make this wedding gorgeous, and classic styling allow their two venues to truly shine. Watch their full feature film below! See Nahal and Eddie's black tie wedding at the University Club in San Francisco. A blend of Persian and Jewish traditions mixed with glittering decor make for one beautiful wedding day! Film by Cinematt Films.